Last Thursday, 38 pupils swapped their classroom for an office and experienced working life at Big Dutchman. 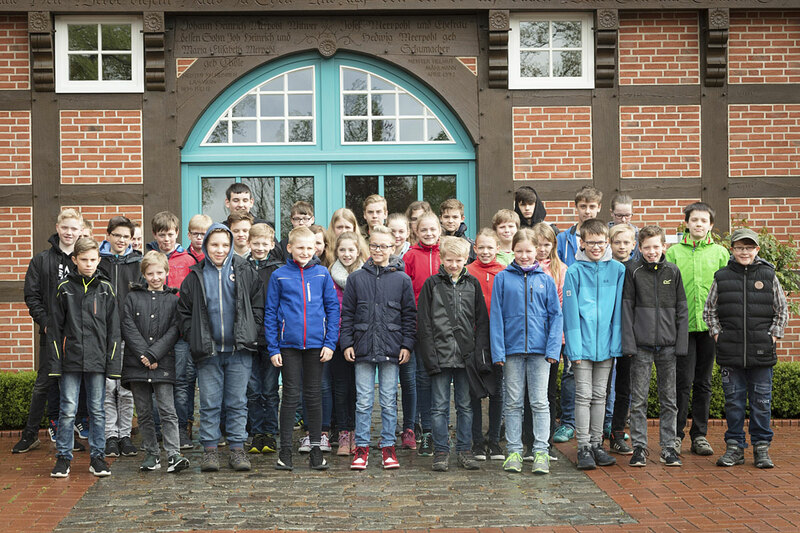 On 26 April 2018, the annual “Zukunftstag” (“future day”) took place at Big Dutchman. On this occasion, the pupils get the chance to have a look into their parents’ or other adults’ work routine. First thing in the morning, the 38 children shared breakfast, then they were shown an overview of the company and started a quiz across the company premises. Later, they had lunch together. In the afternoon, some of the children got to know different departments. For example, Merle and Theresa went to the Marketing Communications department and wrote this press release. Afterwards, Emma translated it into English with her mother Martina. In the technical department, Paula had a closer look at the housing systems and Antonia placed orders in the purchasing department. At the end of the day, all were happy and content and are now looking forward to the “Zukunftstag” next year. If you would like to learn more about this concept, take a look here. A similar event, the “Take Our Daughters and Sons to Work Day” has been celebrated in the US, Canada and Australia for some years now.